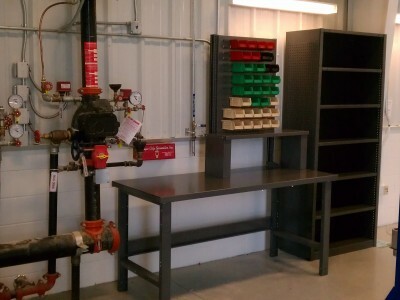 Spacesaver Storage Solutions provides “Engineered Storage Solutions.”. Below are some of our more recent projects. 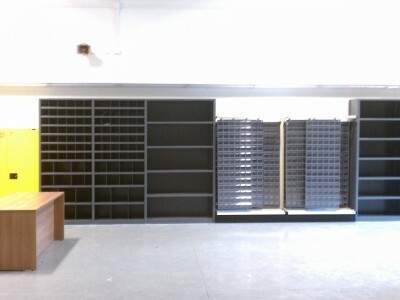 We provide storage solutions to a wide variety of industries and markets. 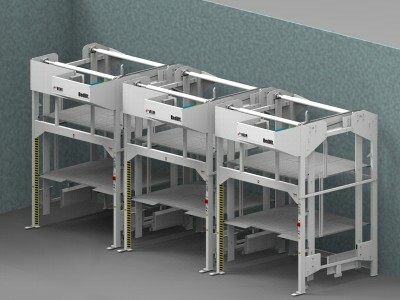 With that in mind, this section is designed to highlight some of our most recent projects and products and the engineered solution that they represent. 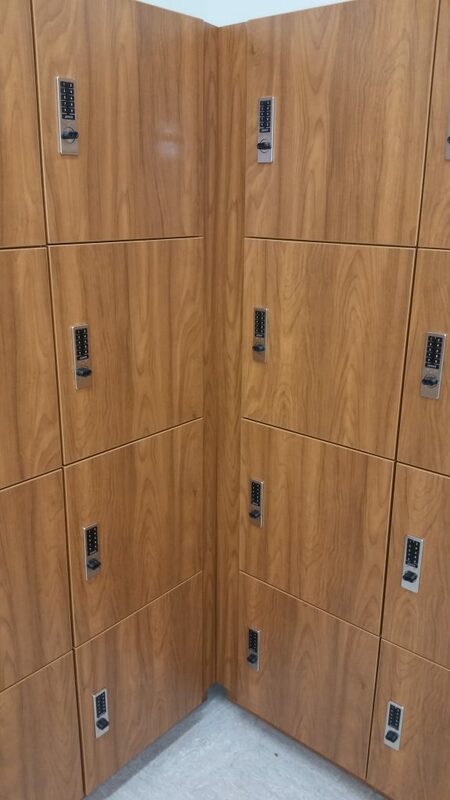 Please enjoy reviewing our recent projects, and contact us to help you with yours! 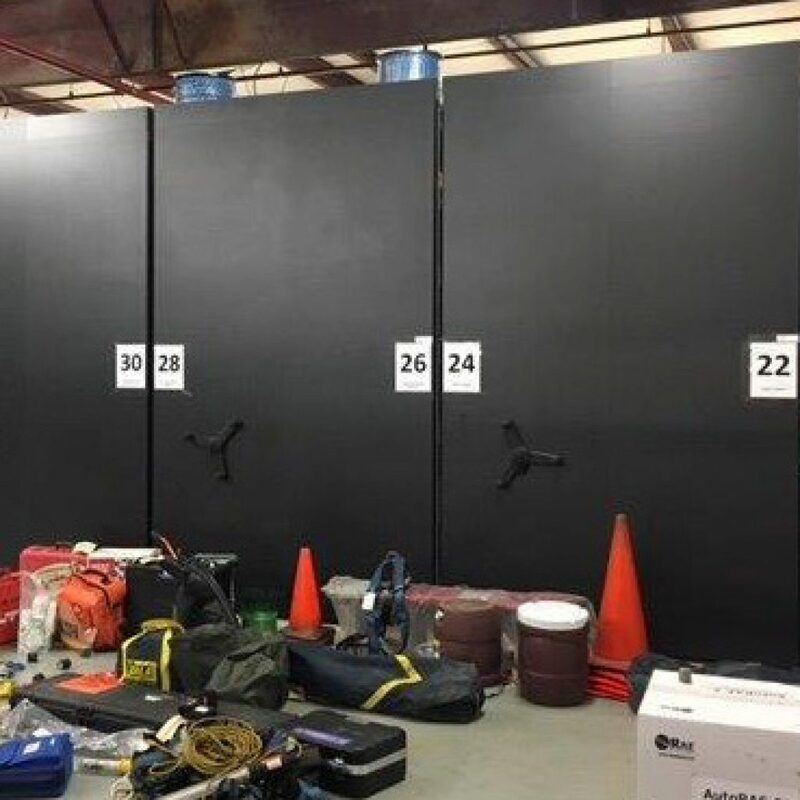 A new construction project for a military facility in Virginia Beach needed significant storage for supplies and equipment throughout the facility. 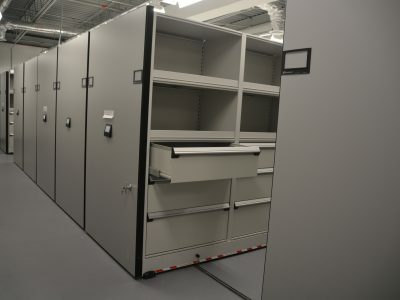 Spacesaver Storage Solutions provided 3 large High Density Mobile Storage Systems in several areas in the new facility and included wide ranges of shelving sizes for parts and equipment as well as heavy duty drawers for smaller items. 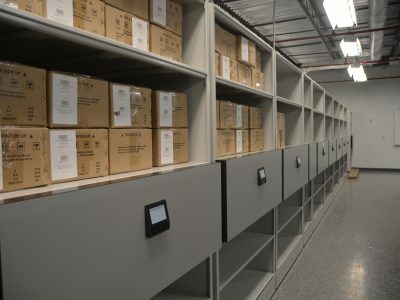 Each system was designed for the individual materials being stored and the Moveable Shelving Systems used Powered Operation to provide a safer and more efficient working environment for the military staff. 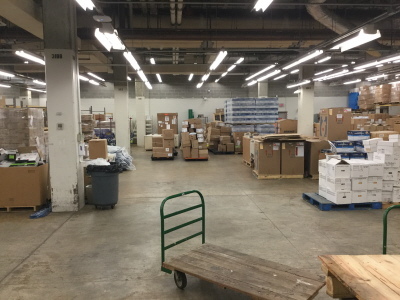 A Virginia Beach Navy Installation was limited in warehouse space. 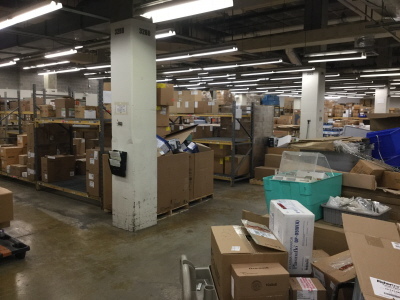 Inside the warehouse, they stored everything from maintenance tools, to tires for a variety of vehicles, both large and small, as well as heaters, generators and DTO’s. 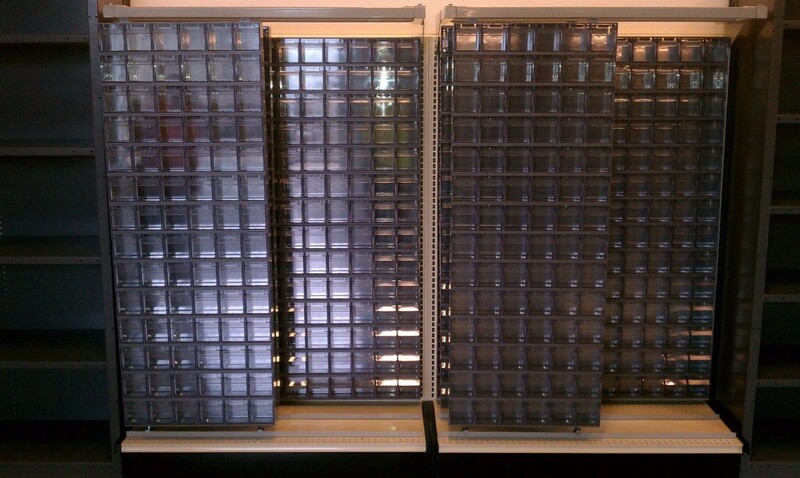 These heaters, generators and DTO’s were on built in carts for easy transfer but could not be stacked. 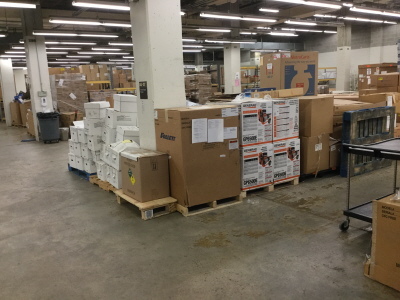 They took up a large footprint of the already small warehouse. 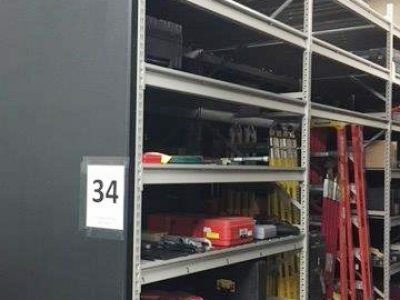 A better storage solution was needed. 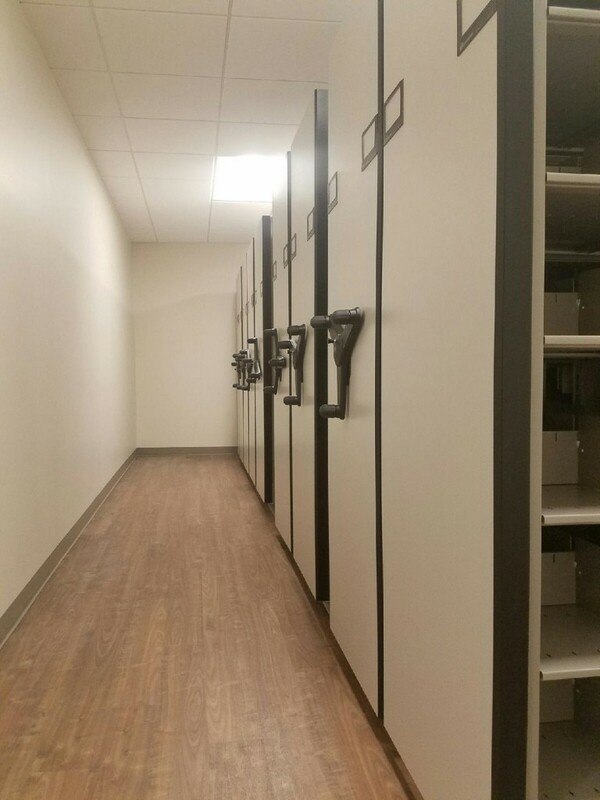 Hanover County chose Spacesaver Storage Solutions LLC to provide eight (8)six (6) high density mobile systems for their new Courthouse Building that opened January 2017. 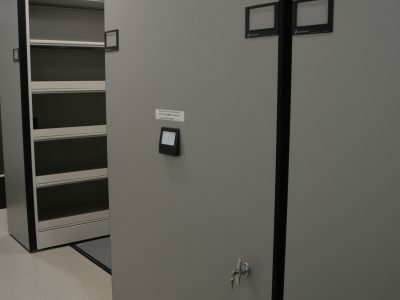 Working with the Clerks of the Courts and Moseley Architects, we designed a mix of powered systems with state of the art electronic safety features and mechanical assist (hand crank) systems to keep the personnel and valuable historic records safe. 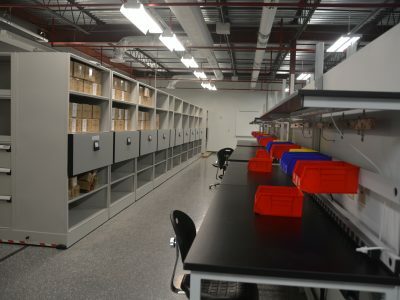 Significant time was spent inventorying and working closely with Moseley Architects and the Clerks to make sure we stored the items in the necessary fashion and could find a place for everything. 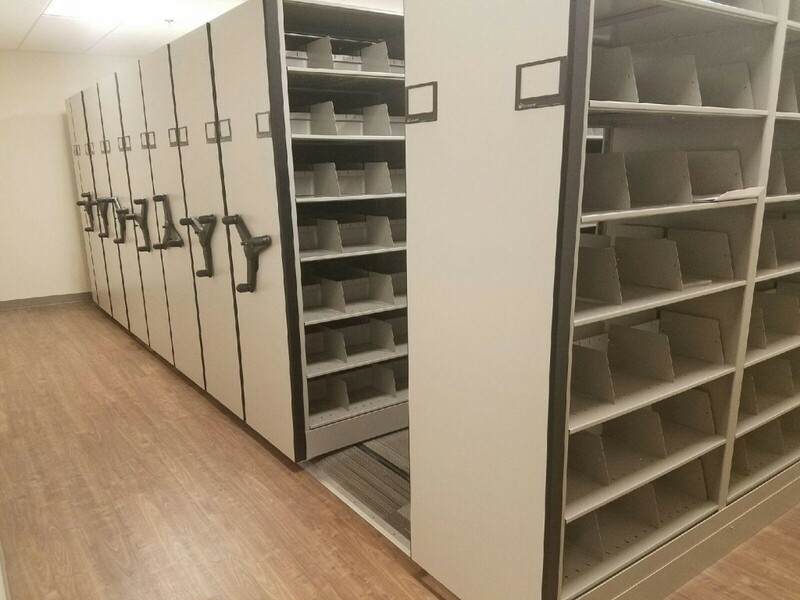 A mix of roller shelving that is common in Courthouses for large heavy plat books and standard shelving was used on the Spacesaver systems. 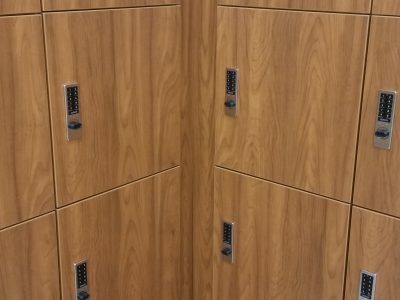 In addition, we moved and added on to existing systems, re-using as much of the existing materials as possible to save costs and be good stewards of the environment. In some cases, custom size shelves were used to best store the many odd size boxes of historic treasures. 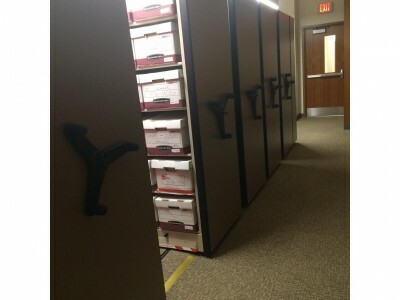 The project also included the relocation of the physical files from the courts. 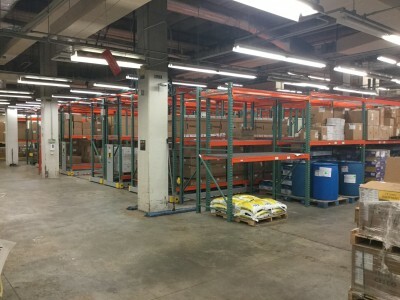 Files were unloaded from multiple locations, packed onto carts, transported to the new building and loaded into the new shelving systems, and this was done alongside the relocation of the existing shelving. 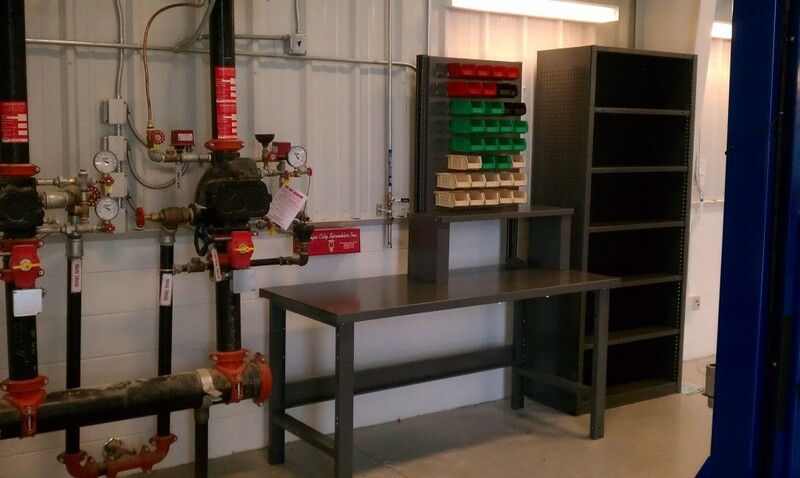 A local utility company was furnishing a new Vehicle Maintenance Garage and we worked with their architect to design work and storage space for their maintenance equipment and tools. 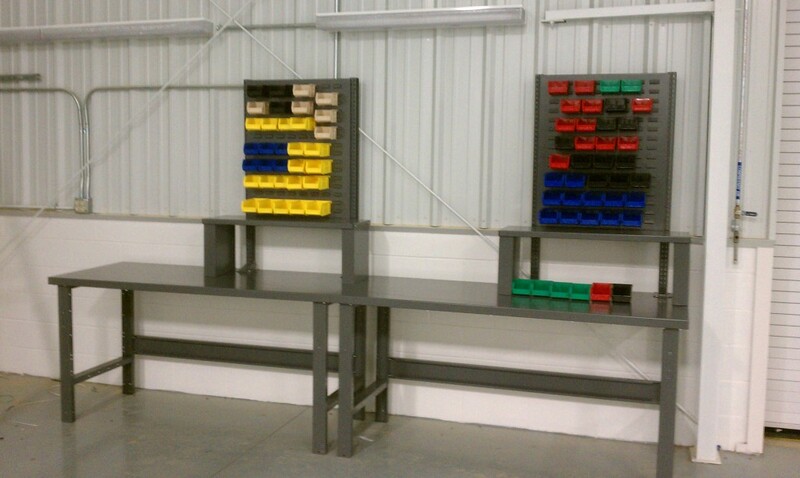 Solutions included some simple work benches along with shelving units and bin storage systems, including high density bin storage units for storing a significant amount of small parts. Due to rapid growth at Virginia Commonwealth University, the old Police building was not sufficient anymore. 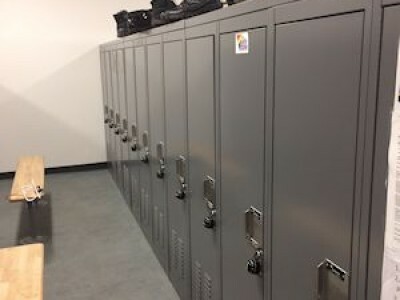 In the new building, Spacesaver personnel duty lockers and evidence were chosen because the Chief liked our outstanding quality, fit and finish, and our products proven ability to withstand rough treatment for many years . The Chief and general contractor realized that many times low-cost means that in a few years, the product does not work as well as it should. 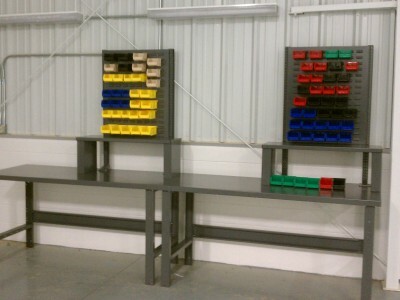 With Spacesaver Storage Solutions, we guarantee our quality and stand behind our product with local service teams. 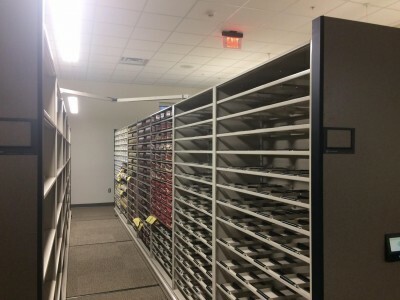 A social services department in a local county was undergoing renovations of their space and needed a significant amount of filing capacity for their records. 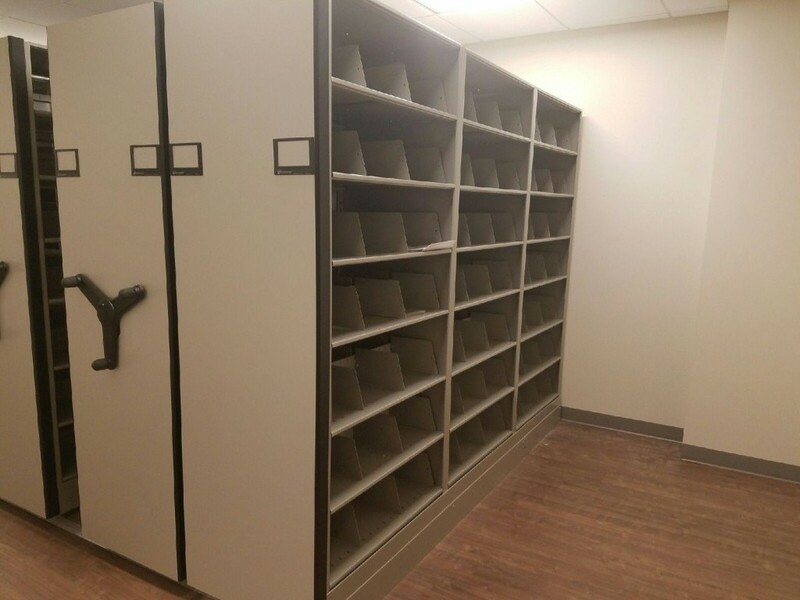 They worked with a Richmond architect and Spacesaver to provide a mechanical assist filing system that was installed during the renovation, and ready to receive their files when they moved in! 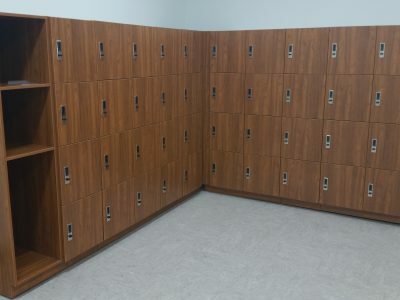 The project also included, in another area, the re-location of a 30 year old Spacesaver System that had been moved twice before and is still working great; a testament to the durability of Spacesaver equipment! 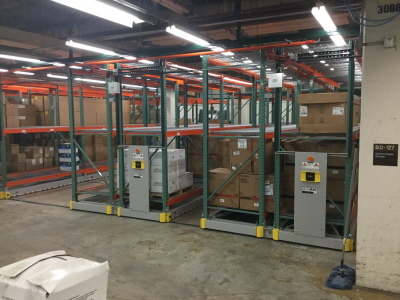 The Hunter Holmes McGuire Veterans Hospital and Spacesaver solved a shortage of space in the warehouse. During the last several years, the demand for office space and clinical space at the hospital exploded. 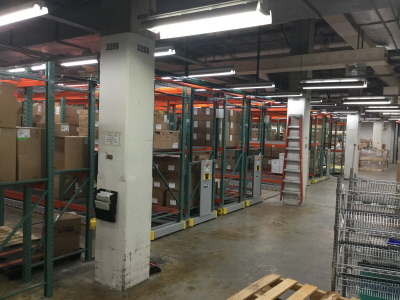 Not only was the existing warehouse too small but part of it was going to be used for a higher priority– offices for clinicians. 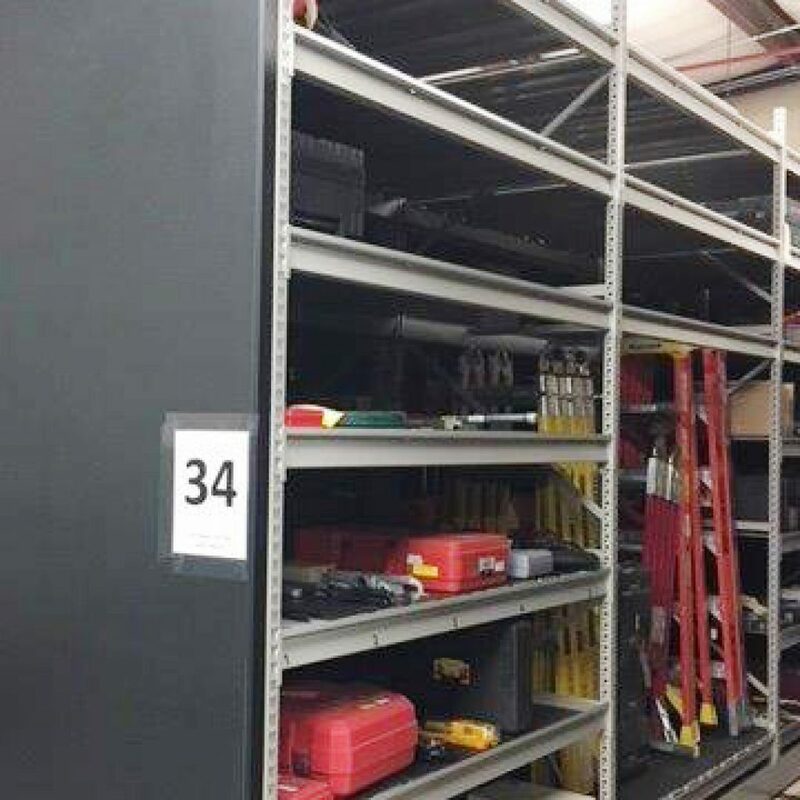 The Chief of Materials Management at the hospital was familiar with compact shelving from our years of assisting him with supply storage in clean rooms, small supply rooms and medical records and pharmacy storage. 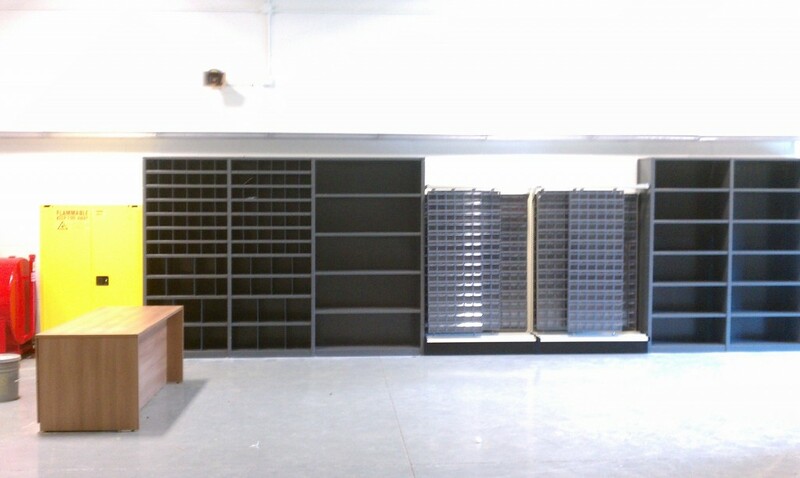 He wondered if we had a ” moveable racking” solution. 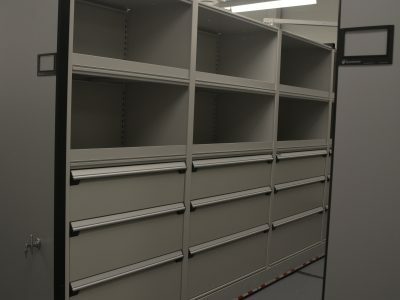 Spacesaver’ unique ActivRAC compact shelving proved to be the solution for more storage. A local government facility needed to consolidate mail and package delivery operations for a new building, and selected our beautiful Mail Lockers with Zephyr keypad locks to provide an efficient, safe and secure mail and package delivery room for the facility. 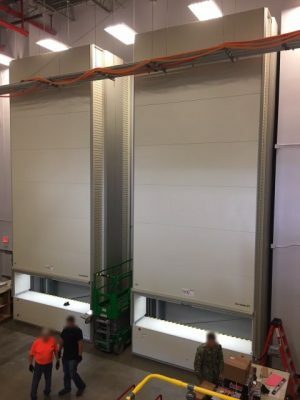 Installation just completed of 2 Hanel Vertical Lift Modules (VLMs), or Lean Lifts in a local warehousing facility. 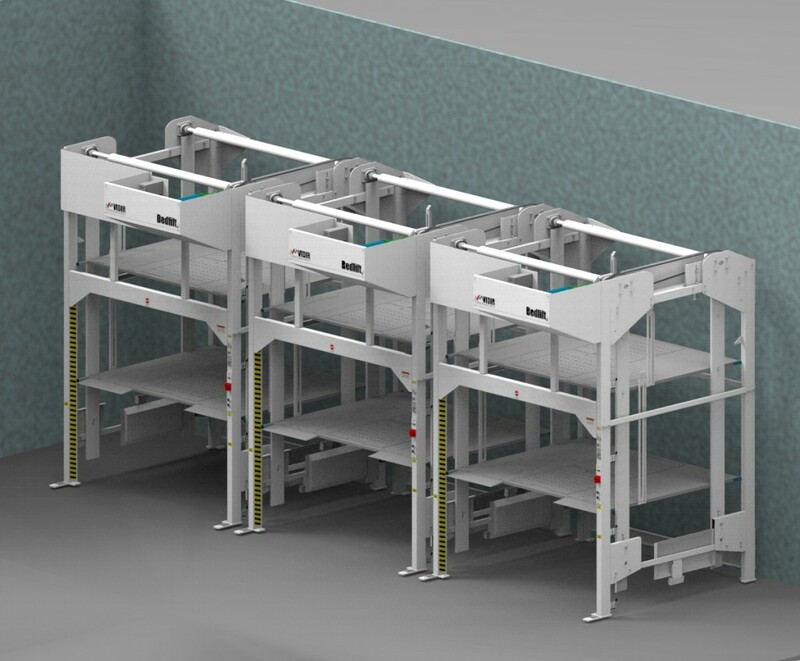 The VLMs will provide inventory control and security, as well as significant increased storage capacity in the 27’ tall lifts that were designed to fit into the tight space constraints in the existing facility! 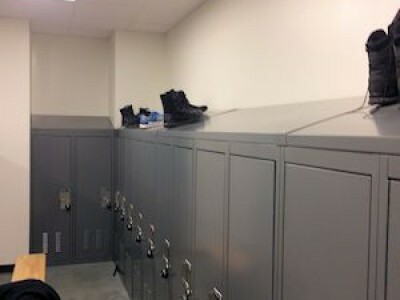 When the military get the call to deploy, they need to be ready for anything. 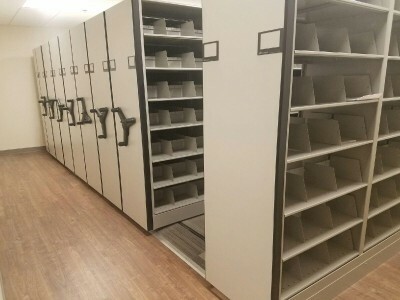 That means they need to store a wide variety of equipment and supplies, and their gear needs to be kept organized and easily accessible to ensure a quick and effective response. 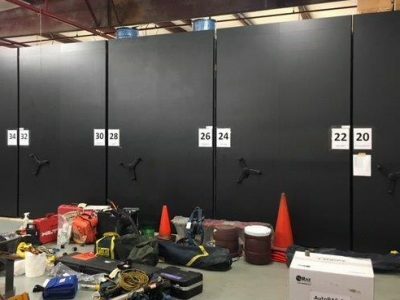 A military group needed to create a better storage solution for their gear, which included items such as ladders, bins, duty bags, and toolboxes of various sizes. A system was designed that met all their needs. 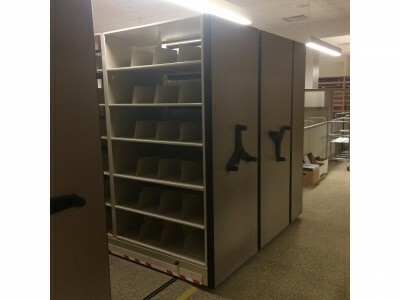 To provide plenty of vertical and horizontal space, the solution includes 10’ tall RaptorRAC™ Widespan Shelving on “piggy-back” or extra-wide compact mobile systems. 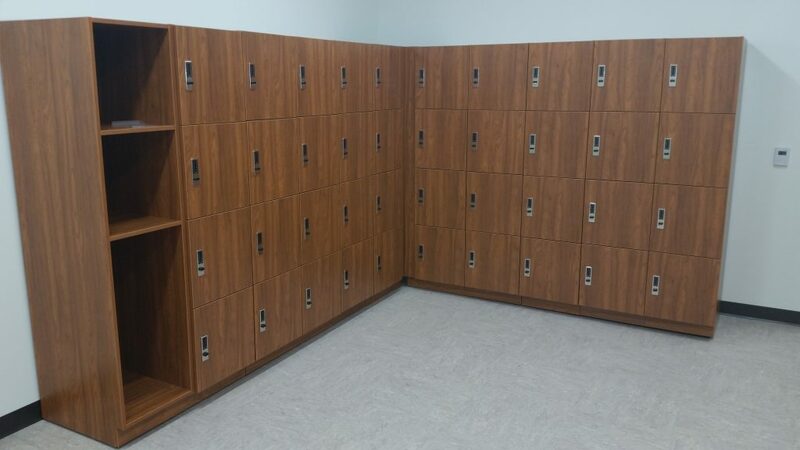 Custom-engineered back panels prevent items from sliding off the shelving, and waist-high locking mechanisms provide security. 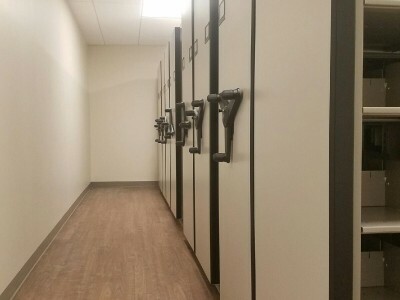 Contact us to see how we can help solve your storage challenge today! 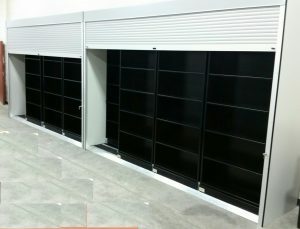 Installation of Two Bi-File Storage Systems with Tambour Doors to provide security for stored materials. 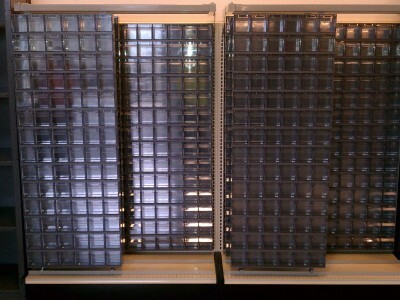 Looking to improve your storage organization and reduce costs? 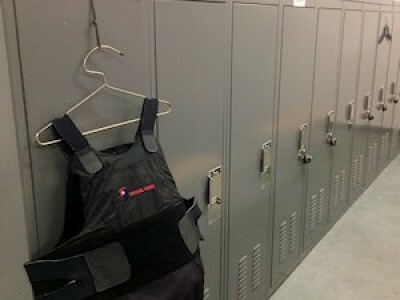 Talk to the specialists at Spacesaver Storage Solutions first. 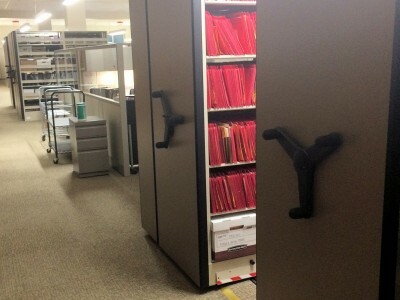 — Contact us to see how we can help solve your storage challenge today!